The new legislative session will usher in a change in the operation of the Senate Labor and Industry Committee. I am pleased to welcome the new chair of the Senate Labor and Industry Committee Sen. Kim Ward. Sen. Ward has been a member of the Senate since her election in 2008. She formerly served as county commission in Westmoreland County and township supervisor. 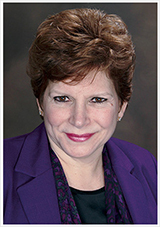 I also want to extend my thanks to Sen. Lisa Baker who formerly was chair of the committee. Sen. Baker and I worked well together on many issues. I am hopeful that the committee’s new chair will also be open to ideas and work collaboratively with me and other Senate Democrats to advance issues important to working men and women. This session promises to be eventful. There will be many challenges and controversial issues that we will confront. We can manage if lawmakers work with working men and women to protect their interests. Senate Bill 166: According to the co-sponsorship memo, the “legislation would allow public-sector unions to continue to collect and spend political money--but they would have to collect and spend it the way everyone else does—without using the government to do so. By making the laws regarding campaign fundraising apply equally it would empower and protect public employees, like teachers, from having union dues money spent for political purposes with which they disagree. Rep. Patty Kim has introduced her version of a minimum wage bill. The measure includes seven increases beginning with an increase to $12 per hour effective July 1. 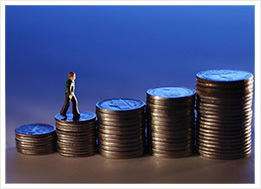 The wage increases 50 cents per year until it is $15 in 2023. Someone working at minimum wage now who works 40 hours per week earns $4700 below the poverty line. My legislation increasing the minimum wage to $15 has been offered for co-sponsorship in the Senate. I expect to introduce this legislation in the near future. 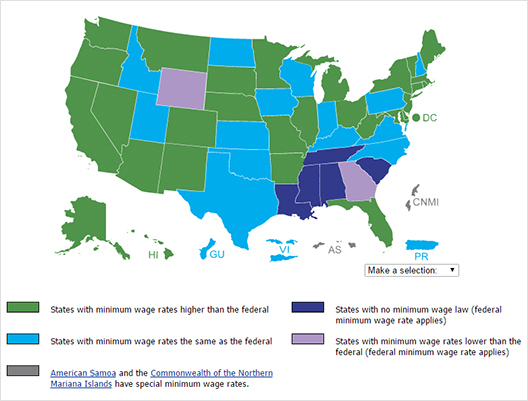 All states surrounding Pennsylvania have a higher minimum wage. We are not out of step with our colleagues. Pennsylvania is significantly behind the times and policymakers have work to do to rectify this injustice. Here’s a map that illustrates where Pennsylvania is relative to other states in the region and across the nation. In December, I announced plans to introduce legislation to replenish the state Department of Labor and Industry’s infrastructure fund that pays for, among other things, unemployment call centers in Lancaster, Altoona and Jonestown that have been closed due to a funding dispute. The legislation contains the same language as House Bill 2375 from last session that would havefunded the Service and Infrastructure Improvement Fund (SIIF) for an additional year and imposed accountability requirements as well as developing an exit strategy from dependence on the funding. The measure passed the state House of Representatives 175-13. Senate Republicans refused to consider the measure. The fund was created in 2013 to address system backlogs and make improvements in claim processing and utilizes employee contributions to the UC System rather than General Fund dollars to support the system. Funds can also be used for staff and employee training, information technology and other improvements. On February 6th there will be a Joint informational hearing of the House and Senate Labor and Industry Committees that will be held at 11:30 – 1 pm in G-50 of the Irvis Office Building. Department of Labor & Industry Secretary Kathy Manderino and Deputy Secretary for Unemployment Compensation Programs Kevin Cicak will provide an overview of the Unemployment Compensation (UC) system and will give an update on UC service delivery in light of the recent furloughs of UC staff. Senate Returns Next week for Session Monday @ 1 pm, Tuesday @ 1 pm and Wednesday @ 11 am. SB 91 (Greenleaf): Former SB 360, this legislation would require an employer to notify a perspective employee that their employment is not covered under the law and therefore not eligible for UC benefits. SB 154 (Tartaglione): Companion legislation to former HB 2375, this legislation would provide funding for one year to the L&I’s Service and Infrastructure Improvement Fund (SIIF). This legislation would restore the Unemployment Compensation Call Centers and expedite the processing of UC claims. SB 155 (Folmer): Former SB 280, this legislation would create the State Apprenticeship and Training Commission and transfer all functions from the State Apprenticeship and Training Council to the newly created commission. SB 161 (Tartaglione): Former SB 198, this legislation would amend the Pennsylvania Wage Payment and Collection Law to improve employer adherence to the law with regard to payment of employee wages. 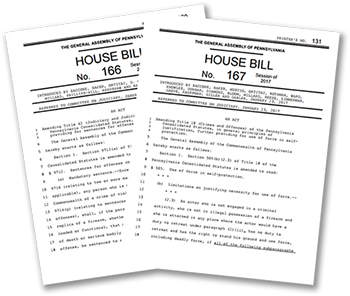 SB 162 (Tartaglione): Former SB 199, this legislation would amend the Pennsylvania Minimum Wage Act to prohibit employers deducting business costs from gratuities pad to employees. In other words, this legislation would stipulate that any employer who permits customers to pay gratuities by credit card must pay their employees the full amount on the gratuity indicated on the credit card slip. SB 163 (Tartaglione): Former SB 196, this legislation would increase Pennsylvania’s tipped minimum wage to 70 percent of the minimum wage by 2020. After 2020, the tipped minimum wage would be linked to minimum wage and would therefore raise along with the minimum wage increase.